The 6.2-liter supercharged Hellcat V8 engine has been a fountain of youth for the Dodge Challenger and Charger, and has also livened up the Jeep Grand Cherokee. Jeep has now confirmed that the engine also fits in the Wrangler and Gladiator, but a major problem prevents it from being used in those vehicles. Jeep boss Tim Kuniskis told Australian car website Drive that the Hellcat “fits like a glove” in the Wrangler and its Gladiator pickup truck sibling. But the fit is so tight, Kuniskis said, that it leaves no “air space” between the engine and the body for crush zones, making it harder for the vehicle to absorb energy in a crash. A Hellcat-engined Wrangler or Gladiator would not pass federal crash tests, Kuniskis said, nixing the idea of offering that setup from the factory. For now, the most powerful engine available in the Wrangler and Gladiator will remain the 3.6-liter Pentastar V6, which makes 285 horsepower and 260 pound-feet of torque. 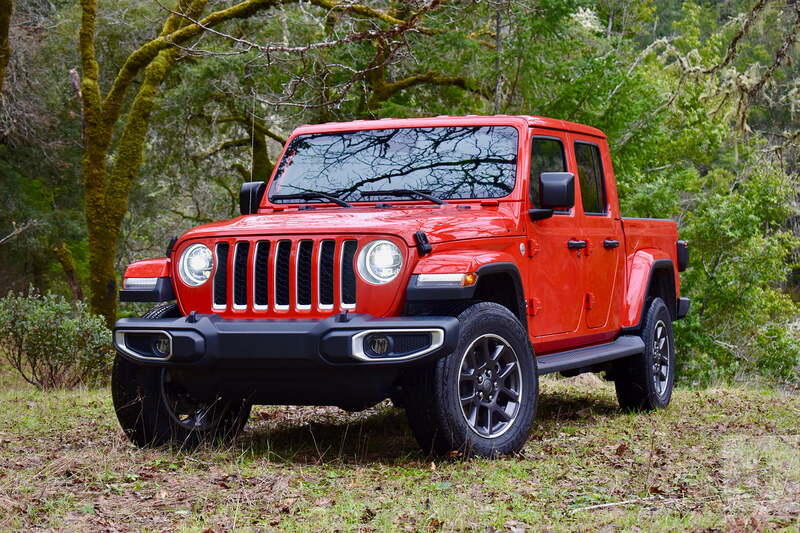 The Wrangler is also available with a 2.0-liter turbocharged four-cylinder engine, good for 270 hp and 295 lb.-ft. Jeep will add a 3.0-liter turbodiesel V6 option for the Gladiator in 2020. That engine will make 260 hp and 442 lb.-ft.
Hot-rodders may very well rip those engines out of Wranglers and Gladiators and replace them with Hellcats. It’s also possible that Jeep will offer a performance version of the Gladiator — without the Hellcat engine. Motor Authority reports that Jeep has dropped hints about such a model, nicknamed Hercules. It would make a perfect rival to the Chevrolet Colorado ZR2, which makes due with gasoline V6 and turbodiesel inline-four power. Jeep may also take the newly launched Gladiator in other directions. The automaker recently unveiled six Gladiator-based concept vehicles for the annual Moab Easter Jeep Safari. One, the J6, is a two-door version of the truck. While most rivals offer more than one cab style for their midsize trucks, the Gladiator is currently available only as a four-door. Jeep boss Kuniskis told Australia’s Drive that Jeep is “gauging interest” in a production version of the J6, while also noting that four-door models make up most of the sales in the midsize-truck segment.